Dimensions 1.50 by 6.25 by 7.50 in. The Ascent of Media tells the whole story of media from its earliest incarnation in the clay tablets of Gilgamesh, through the Gutenberg press, right up to Google and the unfurling world of digital content. 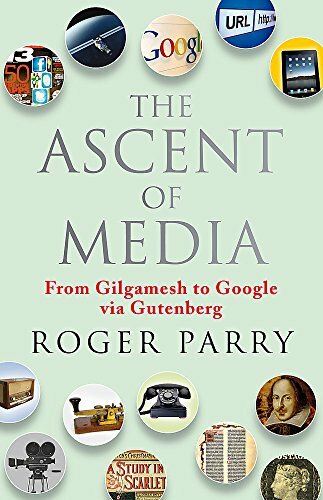 The Ascent of Media is a narrative history of the media in its every form, from theatre to posters to video games, and told with a host of fascinating fact and anecdote. Opening up a whole new forum for debate, Parry argues that contemporary media is not, as the doomsayers suggest, in decline, but on the cusp of a new era â one in which it will adapt, evolve and thrive. History teaches us that media cannot and do not die. This is a startling account of the mediums that inform us, shape us, move us and make us, and a rallying call to innovators of the future.